Tom Vance, who was defeated in November 2015 in his reelection bid for the Sammamish City Council, is gearing up to run against King County Council Member Kathy Lambert, say people familiar with the situation. Vance has been soliciting endorsements for a run, people tell Sammamish Comment. He also dropped an expansive Public Records Request on Lambert’s office for 16 years of data for travel records and meeting attendance. Vance served on the Sammamish City Council from 2012 through 2015. He was mayor in 2014-15. He lost 54%-46% to Tom Hornish. Vance ran for Council in 2009, losing to John Curley 55%-45%. In his successful 2011 campaign, he defeated a weak and unqualified candidate 68% to 32%, only to drop by 22 points in his losing race against Hornish. Sixty-five percent of the votes cast in the Sammamish City Council races were cast for Christie Malchow, Ramiro Valderrama and Tom Hornish, a clear message to remaining Council Members and the City Administration that a change is desired from current and past practices and policies. Although Valderrama is an incumbent, he was isolated by the ruling majority of the Council and members worked hard to find a challenger to defeat his bid for reelection. His reelection is a blow to the ruling majority’s ambitions to maintain control and eliminate a challenger to the status quo. The election of Malchow and Hornish, allies of Valderrama, cement voters’ message of change. The median age in Sammamish is 38. The City has more young adults and children (18 and under) than any other city in the state. Our City Council’s average age is 66. 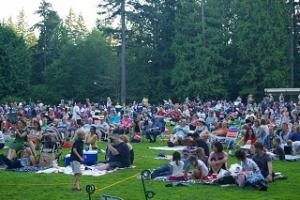 Image: Sammamish Concert in the Park. Photo via Google images. The Sammamish City Council is highly representative of senior citizens and grandparents. It’s not at all representative of the demographics of the City: median age of 38 with children of high school age or less. Three seats are up for election Nov. 3: Positions 2, 4 and 6, held by Nancy Whitten, 69, Ramiro Valderrama, 55, and Tom Vance, 63, respectively. Whitten is retiring after three terms. Valderrama and Vance are seeking reelection, each to a second term. Curley rapped for absentism-vows to stay, but should he resign? Follow us on Twitter @sammcomment. Sign up in the right-hand column. The Sammamish Review has this story focusing on the absentee record of Council Member John Curley, a first-term member three years into his four year term. When Curley was elected in 2009, he said he would only serve one term. But he’s been absent from 17% of the Council Meetings, some of which had critical votes on issues on the agenda. Curley had widely been expected to use the City Council as a stepping stone to the State Legislature, but for a variety of reasons he as yet hasn’t made a move in this direction. The article is self-explanatory. After reading it, decide for yourself whether Curley should resign as some have urged, or whether too much is being made out of this. 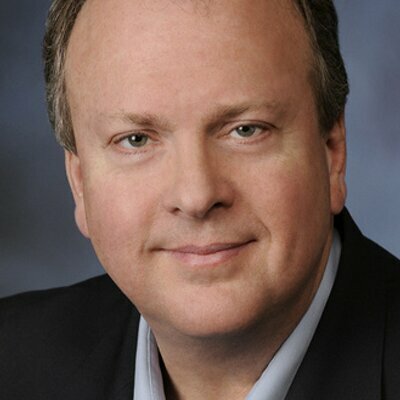 Author cityhamiltonPosted on December 5, 2012 Categories City CouncilTags John Curley, Sammamish City Council, Sammamish ReviewLeave a comment on Curley rapped for absentism-vows to stay, but should he resign?